In this article we’re going to cover how to create a simple document signing kiosk using DocuSign PowerForms and KioskSimple. 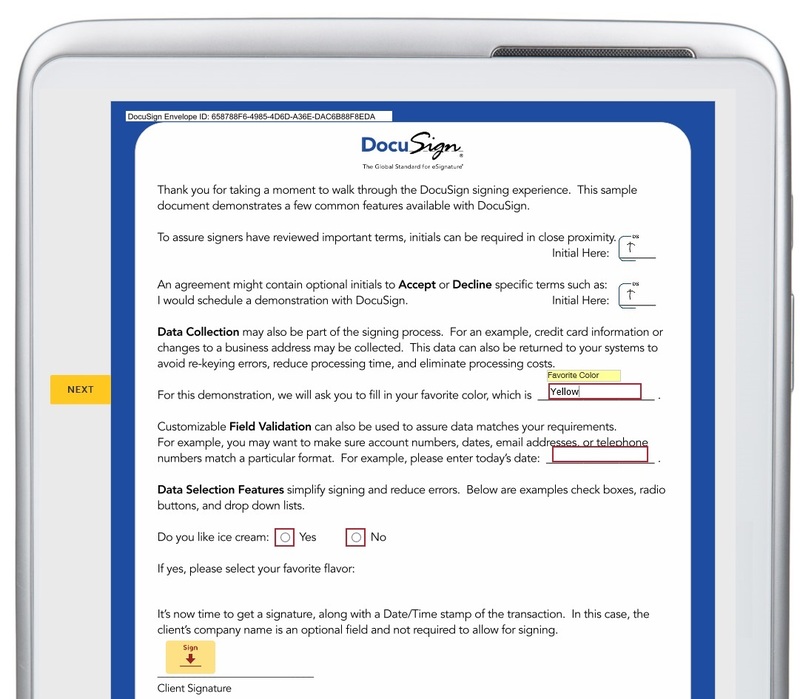 DocuSign is a web-based service which makes it easy to collect digital signatures for your important legal documents. For example, lets say you run a business where you need to have every parent sign a parental release form before their child can use your services. DocuSign PowerForms is a perfect solution for collecting electronic signatures from a centrally accessible kiosk thereby reducing the demand on your staff. The challenge is, how do you secure your document signing kiosk to prevent malicious users from tampering with the Windows operating system? This is where KioskSimple kiosk lockdown software comes in. KioskSimple makes it easy to securely run the DocuSign service in “kiosk mode” and thereby completely dedicate your kiosk to the purpose of collecting electronic signatures. This article is in no way intended to imply an endorsement or affiliation with DocuSign.